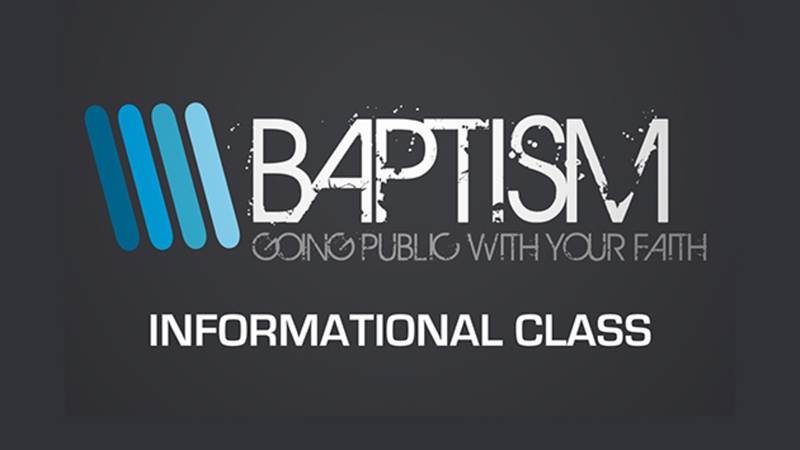 We’re excited that you are considering getting baptized! In fact, we believe it to be one of the most important things that you can do in your lifetime. Baptism is essentially an outer declaration of an inner transformation. That is to say, it’s a public act which symbolizes how Jesus has, is, and will continue to change you from the inside out. So we’re thrilled to celebrate that with you! 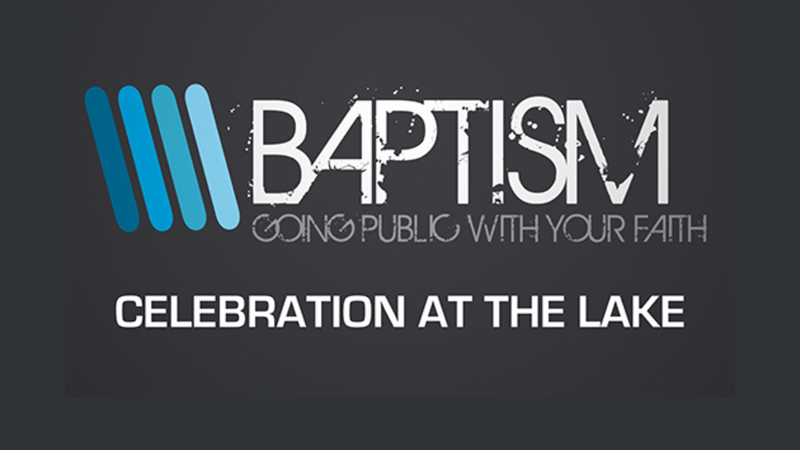 Join us at our next Baptism Celebration, Sunday, June 30 at 9 AM at Kill Creek Park! Follow link below to sign up. Interested in Kids’ Baptism and Dedication Services? Read more below! 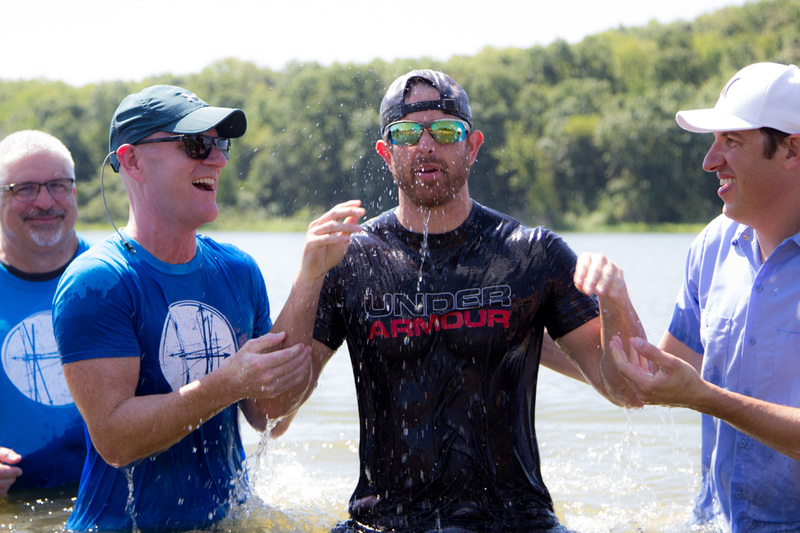 CLICK HERE TO SIGN UP FOR OUR NEXT BAPTISM! 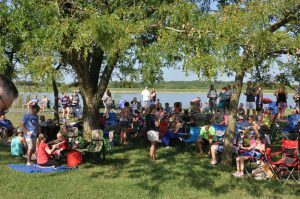 You may have some questions about baptism–things like what it means, or maybe just what to expect at Heartland’s baptism. For details on the most frequently asked questions we receive on baptism, click the toggles below. If you need additional info, just contact our office at (913)341-5820. They’ll be able to help connect you with someone who can provide answers. 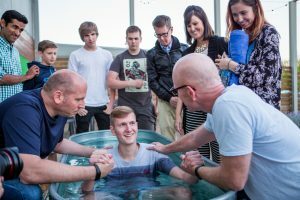 Is getting baptized essential for salvation? No. 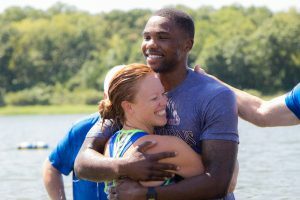 Baptism is a declaration of your salvation–not something that earns you salvation or some kind of spiritual brownie points. (If it’s not so, how could Jesus make such a promise to the man in Luke 23:39-44?) But at the same time, it is a biblical command for all believers – and one that we take very seriously. If I’ve already been baptized as an infant, can I be baptized again? Yes. Although we believe that it is not necessary and that God will confirm what your parents did for you, we encourage you to declare your love for Jesus now also as an adult. If I am going to be baptized at Heartland’s baptism celebration, what does this entail? Then we’ll head to the beach, and we’ll invite you (and your family and friends, your small group or 1:1 mentor, etc) into the lake, where we’ll ask you two questions: “Have you accepted Jesus Christ as your Lord and savior?” and “Are you agreeing to follow Jesus all the days of your life?” If you say “Yes,” then we’ll say, “In the name of the Father, the Son and the Holy Spirit, we baptize you.” Once said, we will gently lean you back, immersing you fully into the water, then lift you back up. After that we celebrate! We’ll huddle together, pray and high-five as everyone else cheers from the shore. After you are baptized, you are free to go or stick around and cheer on others being baptized after you. When preparing think of a day at the park or beach. 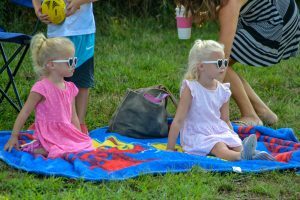 We recommend bringing a lawn chair or picnic blanket, hat, sunscreen, bug spray, sunglasses, etc. If you want to picnic after, bring your picnic basket too. 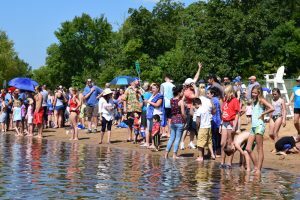 If you will be going into the water to be baptized or with someone being baptized, we recommend you wear a swimming suit under shorts and a t-shirt. Also bring a towel for after you come out of the water. Restrooms are located near the beach so you can also bring dry clothes to change into after the baptism if you’d like. If you are being baptized and you have friends/family coming to the baptism from another church where the Sunday dress code is not as casual as Heartland’s, please be sure to let them know that dress for this event is casual. If you have additional questions or concerns, please let us know – and we’ll look forward to seeing you at the park! What should my expectations be of this time? We recognize baptism is a defining moment in a child’s faith journey. We love what Reggie Joiner says, “Faith and character develop over time.” We want to give kids the time they need for their faith to develop before they take the important step of baptism. We think baptism happens best when it is an expressed desire of an individual, not because a family is doing it together. 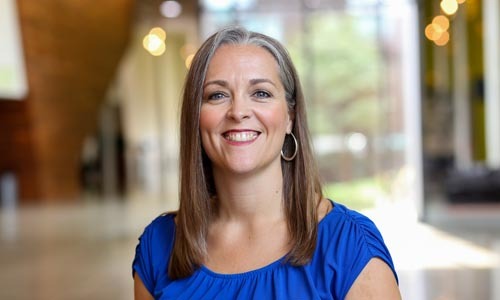 Ultimately, parents are the primary faith-shapers for their children and we trust the parents to know if this is the right time for their child to be baptized. 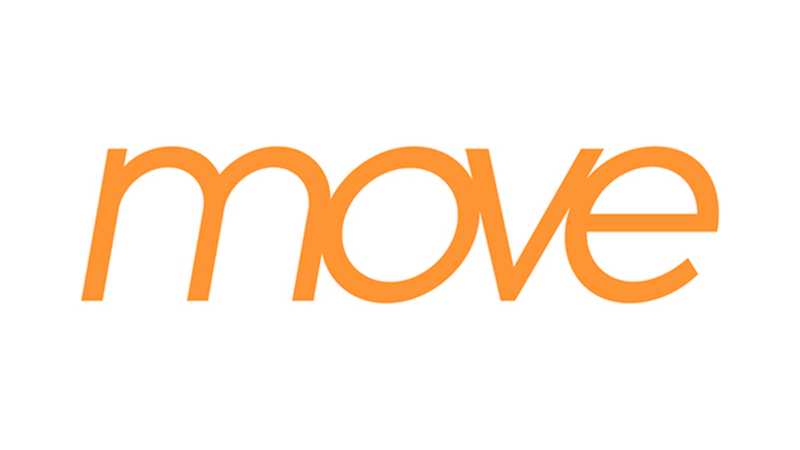 If you have any questions, CLICK HERE to send an email. 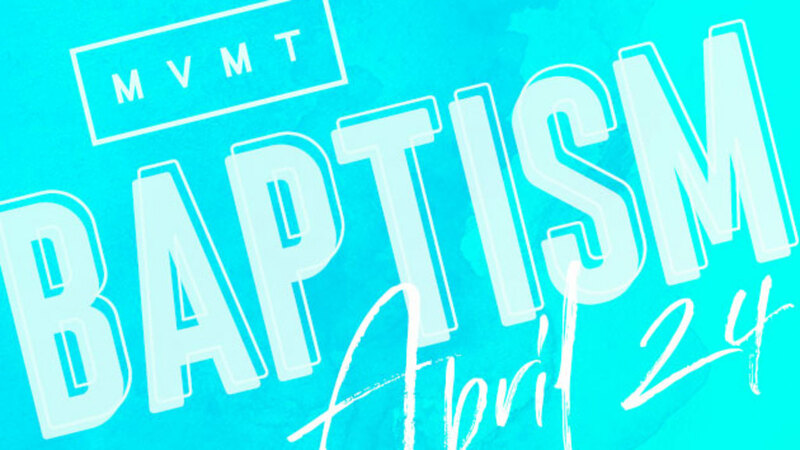 If, after praying about it, you have decided the time is right for your child to be baptized, please sign up using the event link on this page. Join us for Baptism on Sunday, June 30 at 9:00 at Kill Creek Park. Please complete the following form on or before June 23, 2019.